Recently, Clif had surgery to repair a cervical spine fracture to his C6 vertebra. 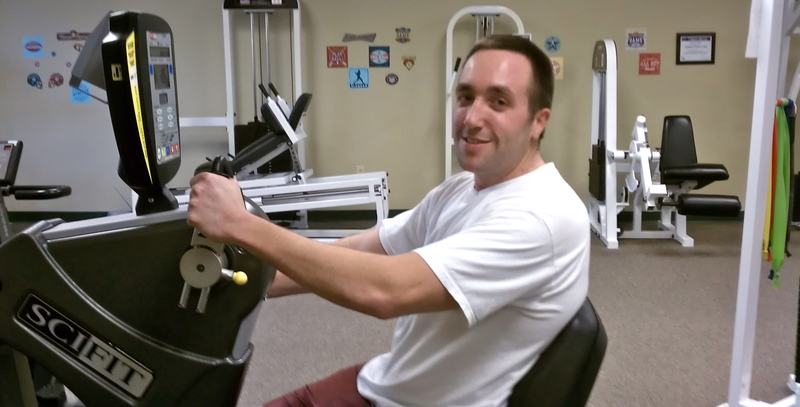 After surgery, he began physical therapy at DOAR East to improve his cervical range of motion and decrease pain. I wore a cervical collar (neck brace) for 13 weeks, but my neck didn’t heal correctly, so I had to have surgery. My doctor put 4 screws and a plate in my C6 and C7 vertebrae. 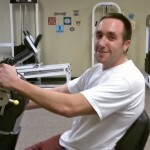 Four weeks later, I started physical therapy. When I first started, I couldn’t turn my neck enough to look over my shoulders. I knew this had to improve so that I would be able to drive safely and comfortably. I was also worried that I wouldn’t have the range of motion needed to swing a golf club. So far, my range of motion has improved significantly, and my pain has decreased. I haven’t been back on the golf course yet, but I did go bowling last week – and bowled my highest score ever! Clif lives in Ringgold, Virginia. He is a salesman at Riverside Roof Truss.